The rays of light in the fog are wonderful. This is gorgeous- such beautiful light, done to perfection. 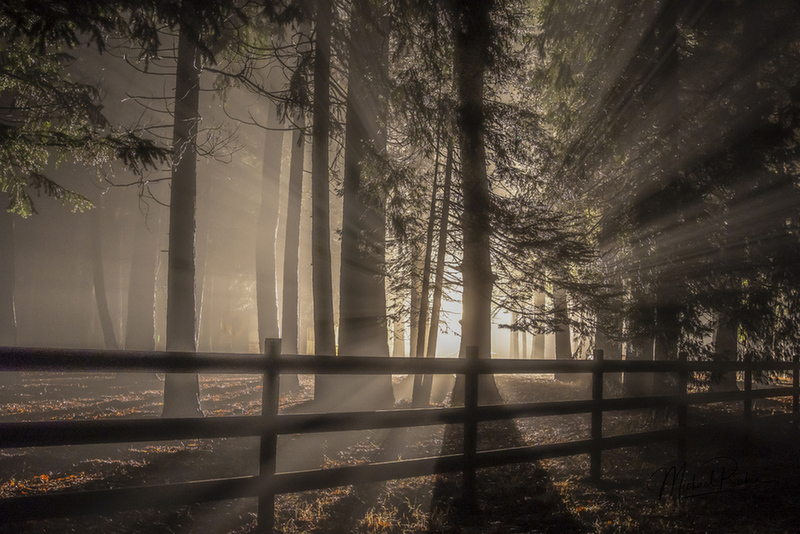 The fence makes a very nice diagonal against the backlit trees. Gorgeous! A hauntingly beautiful mood with this wonderful image, Michael. I love everything about this one. thanks. After seeing it it took me some time to go get my camera gear. It was even more striking before the fog started lifting. Very dynamic. Almost riveting. Your images are getting really good.